5 cft. capacity for sand and 65 lit. 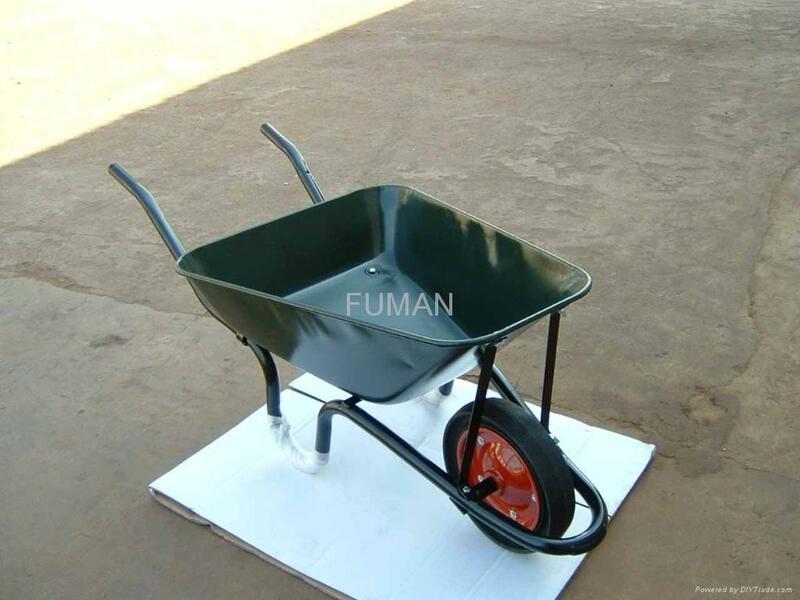 capacity for water, 14” x 3.50”- 8, solid tire with and steel rim and ball bearings, steel tubular handle of 1.2 mm thickness x 32 mm diameter, 0.7 mm thick steel tray with dark painting, Cart Body Size:1400L x 460W x 540H mm, N.W. : 19 kgs. Loading Quantity: 1200 piece per 40' Container.